The spherical dipole antenna operates on battery power so no metal wires or conductors will interfere with the repeatability and accuracy of the PSDS. A pair of Li-Ion batteries are installed inside the spherical dipole antenna to provide the power needed for the internal electronics. When fully charged, the batteries can provide power for up to 12-15+ hours of continuous use (depending on the clock frequency selected). 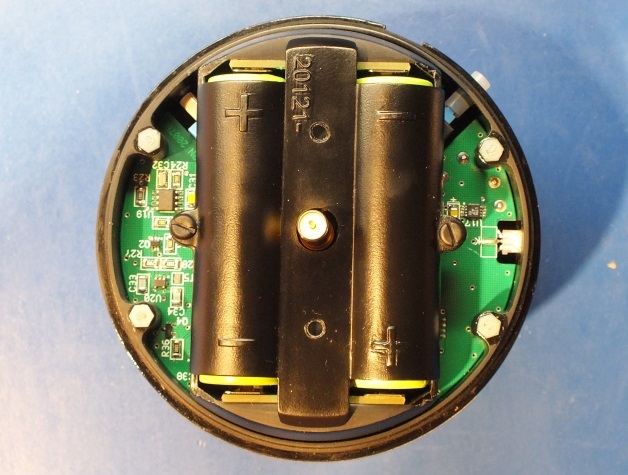 Li-Ion Batteries shown installed in the lower hemisphere of the PSDS.